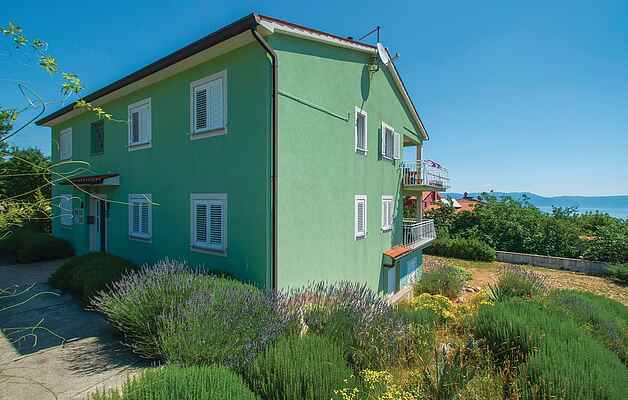 This comfortable and nicely furnished holiday apartment with sea view is located in the small village of Bartići (Junac), only 5 minutes by car from the crystal clear sea and beaches in Sveta Marina, which is also known as a diving center. The apartment has two bedrooms, spacious kitchen with dining and living area, bathroom, toilet and covered terrace where you can relax during the summer evenings. Visit the nearby town of Labin, where numerous events take place during the summer months. Enjoy the gastronomic offer of the local restaurants.